PowerTrain assisted OPM Employee Services’ Recruitment Policy & Outreach Division by developing a series of 16 animated and engaging online learning modules. These highly creative mini-modules have been extremely well received and can be viewed on the USAJOBSRecruit.gov website. 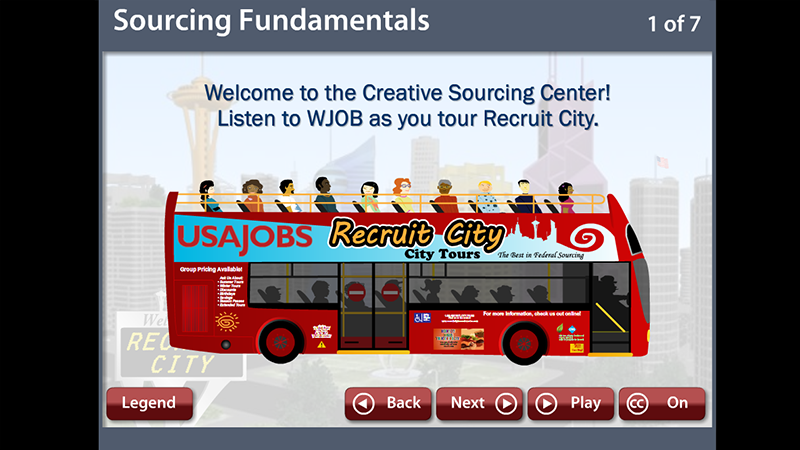 Recruit City: The Best in Federal Sourcing — In the animated cityscape of Recruit City (RC), the viewer is able to take a bus and explore various recruiting topics. The animated cityscape has a fountain that spouts water, buses driving down the street, and planes and birds flying by to draw the user into the city. 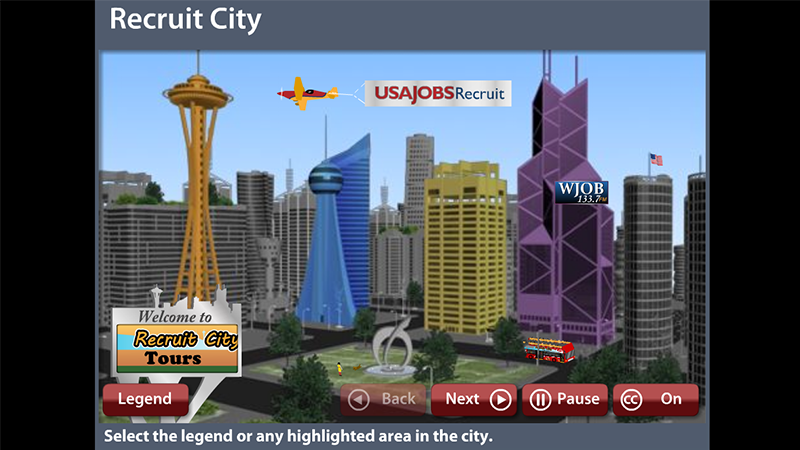 Each building in the city takes you to a topic with colorful animations and narration. WJOB, with sounds of the city, is a radio station that defines sourcing fundamentals with the city’s jazz music playing along. 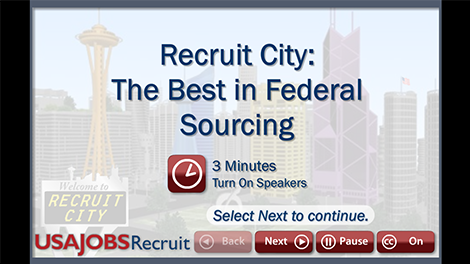 RC Underground: Building Talent Pipelines — This colorful animation takes you on the RC Underground metro in Recruit City to learn about building employee sources by accessing employee referrals, recruiting silver medalists, and exploring niche markets. 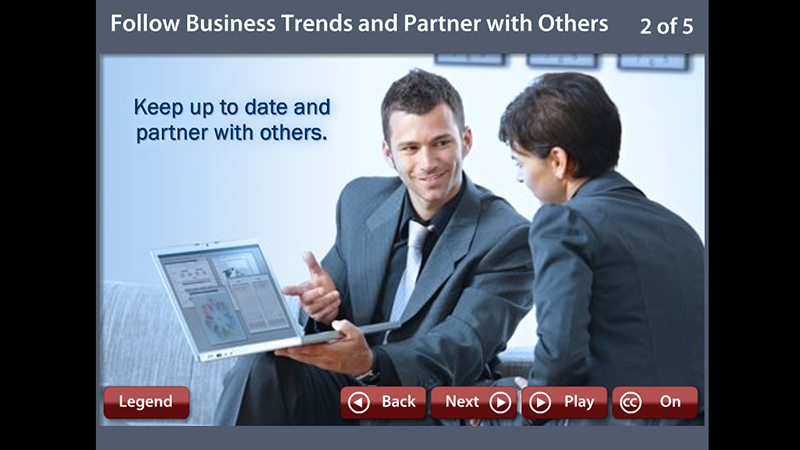 Printable job aids provide additional information.